Looking for an activity the whole family can do while visiting the Manuel Antonio Beach? Well, the banana boat trip is a fun filled ride. 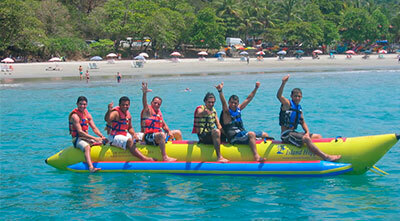 They will take you around the coast of Manuel Antonio while being pulled at a rapid speed to get the adrenaline pumping.